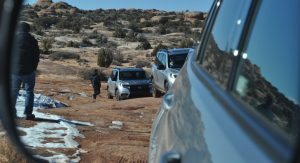 Moab, Utah is home to beautiful scenery and challenging off-road trails. 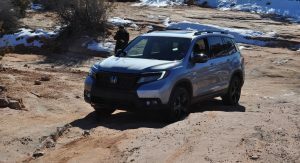 It’s also closely associated with the Jeep brand, but that didn’t stop Honda from launching the 2019 Passport there. 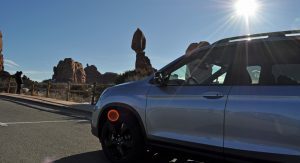 While it seems like an unusual place to host the first drive of the Passport, it’s actually not once you consider the company is positioning the crossover as a mild off-roader. 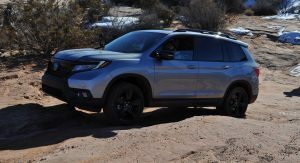 According to Honda, the Passport has been designed to be more rugged than the Chevrolet Blazer, Ford Edge and Nissan Murano as well as sportier and more comfortable than true off-roaders like the Jeep Grand Cherokee and Toyota 4Runner. 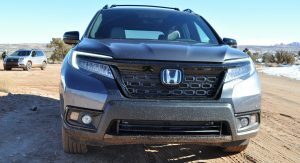 The positioning is a bit unique, but the Passport also plays the important role of slotting between the CR-V and Pilot. 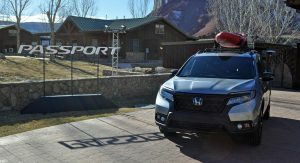 Honda estimated they were losing tens of thousands of customers by not offering a large five-seat crossover, so the Passport has been revived to fill that gap. 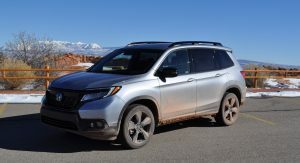 Interestingly, the models starts at $31,990 excluding a $1,045 destination charge, which means it costs a few hundred dollars more than the Pilot which can hold up to eight people. 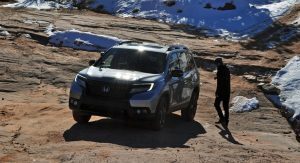 While the Passport is based on the same Global Light Truck platform that underpins the Pilot and Ridgeline, Honda’s designers wanted to give the crossover its own identity. 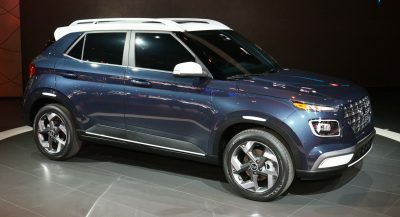 As part of this effort, the Passport features a unique front fascia and a revised grille. 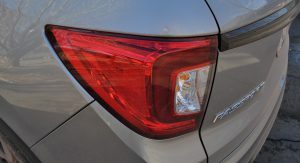 Out back, it has a steeper rear window, a sportier bumper and more minimalist taillights. 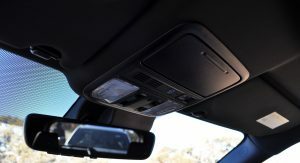 Designers also embraced the blackout trend by giving the crossover black accents for a more “urban” feel. 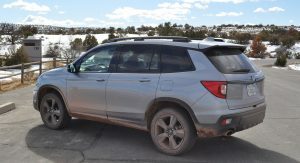 Despite having the same 111 inch (2,819 mm) wheelbase as the Pilot, the Passport is notably smaller as 6.2 inches (157.5 mm) have been chopped off the rear end. 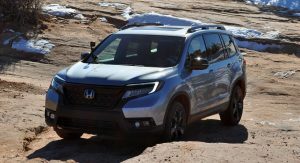 This eliminates the third row seat and allows the entry-level Passport Sport to tip the scales at 3,959 lbs (1,795 kg), or is 77 lbs (34.9 kg) less than the Pilot LX. 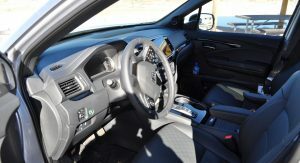 While the Passport has unique exterior styling, the cabin largely carries over from the Pilot. 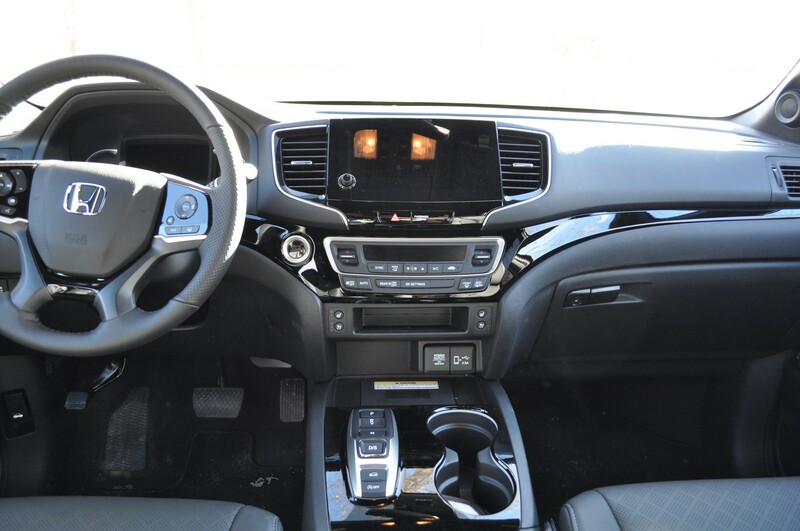 This isn’t necessarily a bad thing, as it features a roomy interior with high quality components. The range-topping Passport Elite comes with nearly every luxury feature a buyer could want. 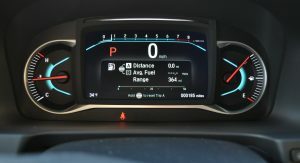 Once seated behind the heated leather steering wheel, drivers will find themselves facing a minimalist instrument cluster that’s dominated by a 7-inch display. 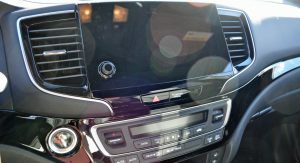 To the right, above a familiar center stack with logically laid out controls, is an 8-inch Display Audio system with GPS navigation as well as Android Auto and Apple CarPlay compatibility. 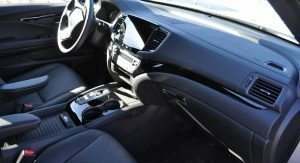 Long trips shouldn’t be much of an issue as the Elite trim level has comfortable heated and ventilated front seats covered in perforated leather. 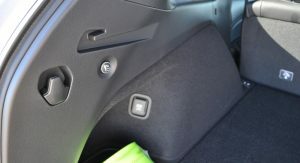 Rear passengers don’t take a backseat in terms of comfort either, due to the a heated leather bench and separate climate controls. 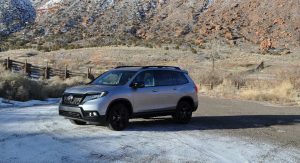 One of the biggest reasons to upgrade from the CR-V to the Passport is space – and buyers won’t be disappointed. 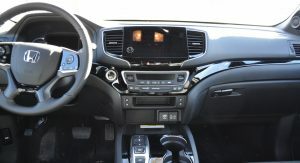 Both the first and second rows offer generous head- and legroom and there are numerous storage compartments throughout the cabin. 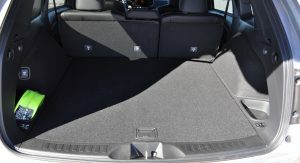 One of the largest resides underneath the rear load floor, while there’s another large one between the front seats. Another important consideration is cargo room. 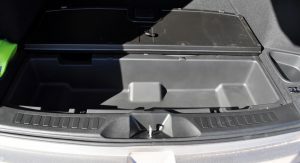 The Passport can carry up to 50.5 cubic feet (1,430 liters) of gear behind the second row and with a push of a button, the rear seats fold down and reveal up to 100.8 cubic feet (2,854 liters) of space. 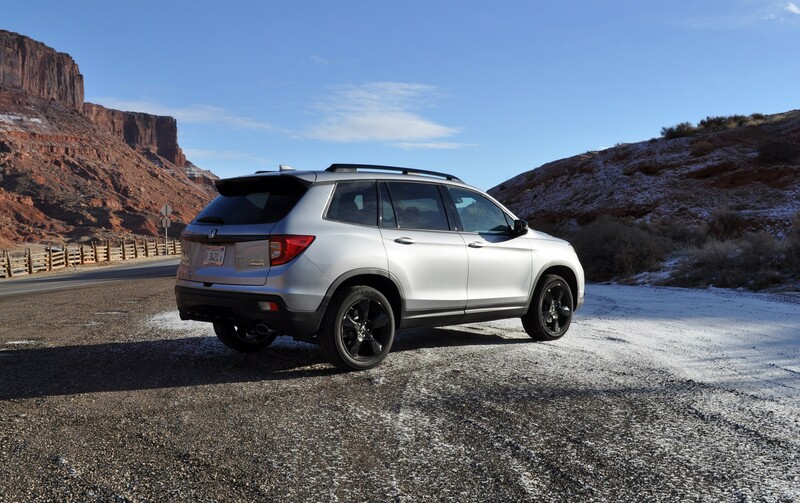 Most crossovers aren’t particularly sporty and that also holds true for the Passport. 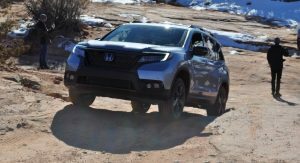 While drivers won’t confuse the model with the Civic Type R, engineers did make a number of changes to make their new SUV a bit more exciting than its counterparts. 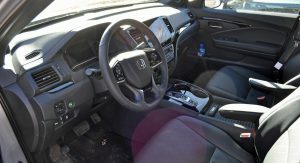 The steering system features a quicker ratio for a sportier feel and, while that’s all a bit relative, the steering is indeed light and natural. It also helps the model feel pretty nimble, which is a notable accomplishment. 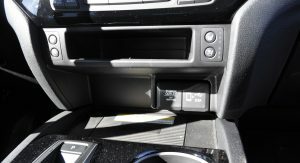 Speaking of dynamics, the Passport has less brake pedal travel than the Pilot for a more responsive feel. We didn’t get a chance to do a back-to-back comparison, but the brakes performed well even though we didn’t push them to the limits. 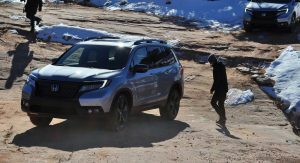 The suspension features retuned shocks and springs, giving the crossover a comfortable ride even on dirt roads. 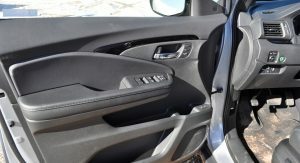 Passenger comfort is further improved by the use of the acoustic glass on higher-end variants, as the cabin remains relatively quiet even at highway speeds. 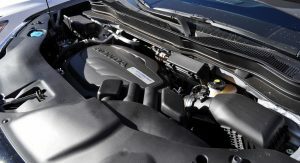 Power is provided by a 3.5-liter V6 that produces 280 hp (208 kW / 283 PS) and 262 lb-ft (354 Nm) of torque. 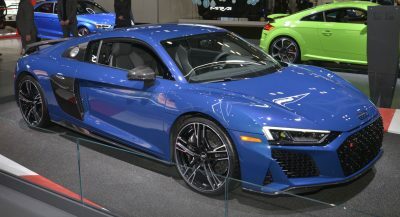 It is connected to nine-speed automatic transmission which can be mated to an optional all-wheel drive system with active torque vectoring. 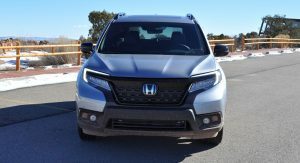 The powertrain is a good match for the Passport, even though it’s a bit surprising that Honda skipped an entry-level four-cylinder engine. 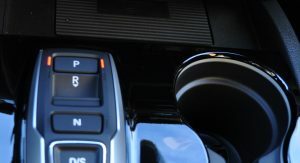 The nine-speed automatic is particularly smooth, and things get a bit livelier when Sport mode is selected. 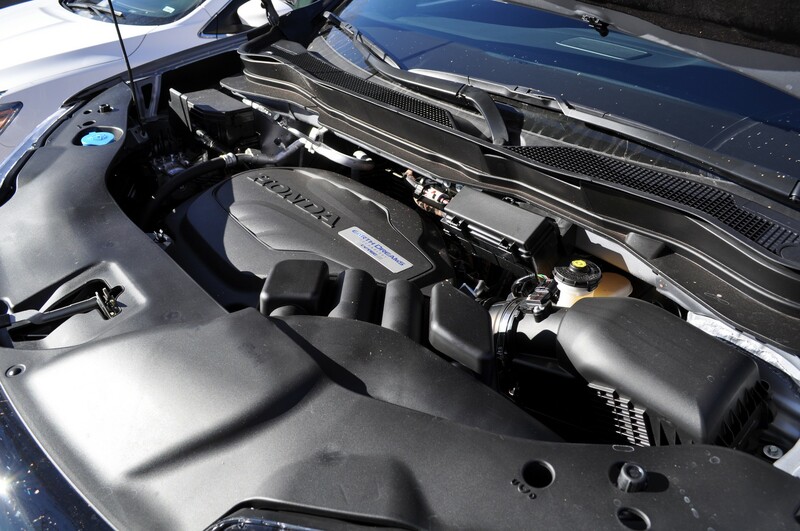 The engine has plenty of power and helps the crossover tow up to 5,000 lbs (2,267 kg) on all-wheel drive variants. 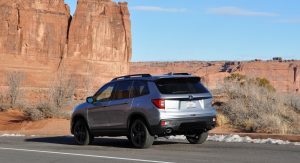 This figure bests rivals such as the Edge and Murano, but isn’t quite enough to topple the Jeep Grand Cherokee which can tow up to 6,200 lbs (2,812 kg) with its V6 engine. 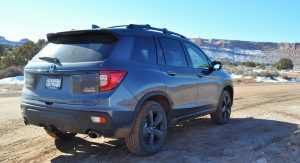 While we didn’t have to refuel the Passport during our short first drive, it offers respectable fuel economy numbers thanks to an engine stop/start system and that nine-speed transmission. 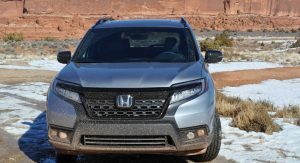 Front-wheel drive models have an EPA rating of 20 mpg city / 25 mpg highway / 22 mpg combined, while all-wheel drive variants return 19 mpg city / 24 mpg highway / 21 mpg combined. 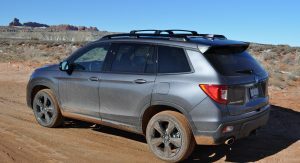 While most owners won’t venture off-road, the Passport has been designed with mild off-roading in mind. 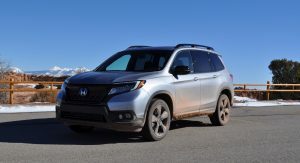 Thus, all-wheel drive variants have 8.1 inches (205.7 mm) of ground clearance, 0.8 inches (20.3 mm) more than the Pilot. 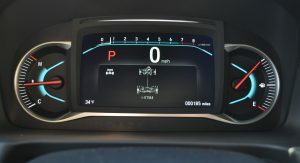 The model also boasts a 21.4° approach and a 27.7° departure angle. 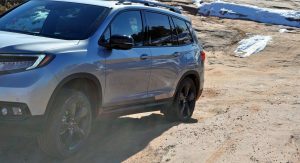 Those numbers are no match for the Jeep Wrangler Rubicon, but they’re better than the Ford Edge which has 8.0 inches (203.2 mm) of ground clearance, an approach angle of 18.9° and a departure angle of 22.2°. 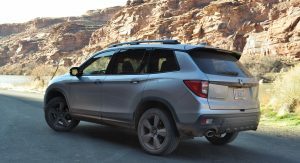 This is a noticeable difference, but those who intend to do more serious off-roading would probably be better served by something like a Grand Cherokee, which offers up to 10.8 inches (274.3 mm) of ground clearance as well as approach and departure angles of up to 36.1° and 27.1°. 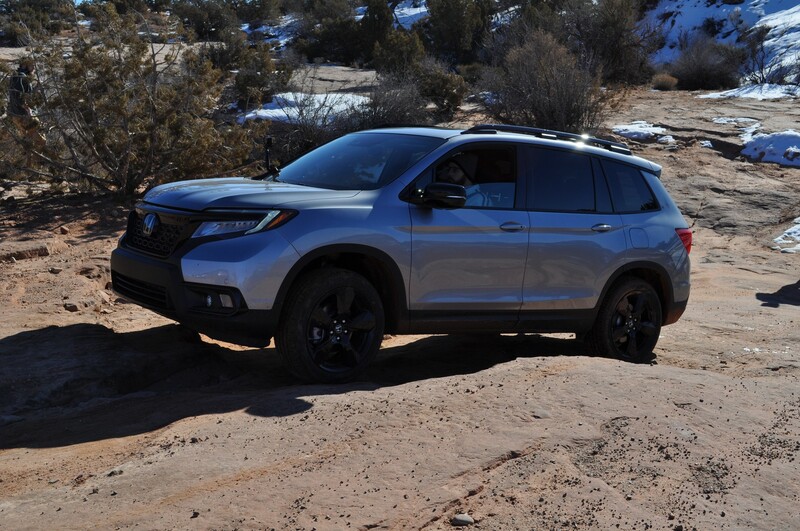 That being said, the Passport isn’t a slouch off-road as it can tackle some pretty rugged terrain. 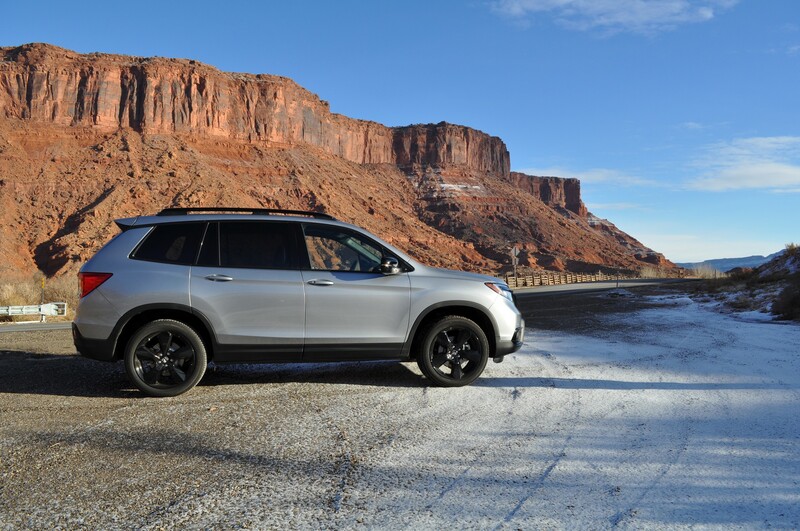 We drove over a handful of rocky surfaces and it nearly always felt surefooted. However, some of the more challenging obstacles were accompanied by underbody contract. 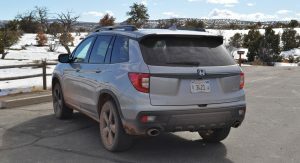 In less extreme conditions, the Passport is relatively comfortable as the ride is surprisingly smooth even when traveling over dirt roads at decent speeds. Of course, as conditions worsen, the impacts and jolts are transmitted into the cabin. 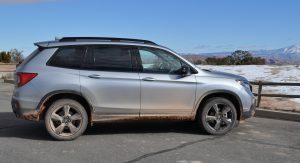 A lot of the praise for the Passport’s off-road capability can be credited to the all-wheel drive system that can send up to 70% of the engine’s torque to the rear wheels. 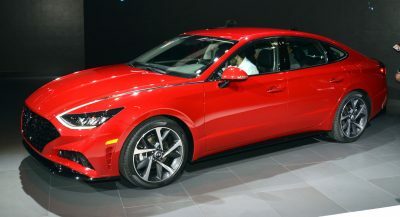 The all-wheel drive system also has a torque vectoring function, which sends power to the wheels with the most traction. 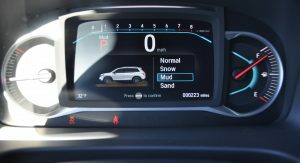 All-wheel drive Passports come with an Intelligent Traction Management system featuring four modes: Normal, Snow, Mud and Sand. 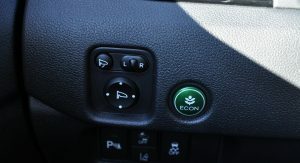 Snow mode starts the transmission in second gear and increases rear torque distribution for better stability at launch. 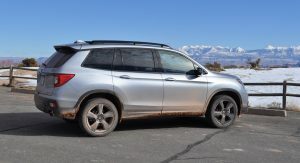 Mud uses fixed torque vectoring and allows more wheel slippage to ensure continued forward momentum. Sand mode is somewhat similar, but features more aggressive throttle tuning as well as delayed shifts. 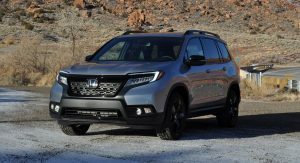 Sedan fans will likely bemoan the introduction of yet another crossover, but the Passport is a logical addition to Honda’s lineup. 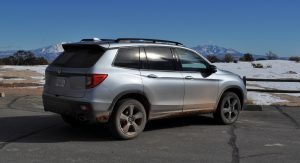 It’s also worth noting that the automaker didn’t simply create a five-passenger Pilot, but instead worked to give the Passport its own distinct identity. 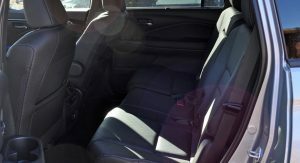 One of the its strongest suits is the comfortable and spacious interior that offers 40.9 inches (1,038.8 mm) of legroom up front and 39.6 inches (1,005.8 mm) in the back. 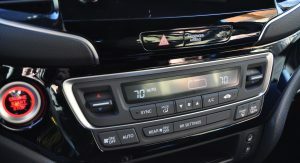 It also comes with driver assistance systems such as adaptive cruise control, forward collision warning, collision mitigation braking and lane keeping assist as standard – important features that are oftentimes options costing thousands of dollars on competing models. 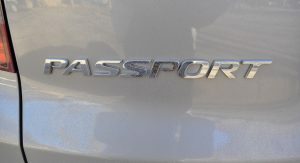 In the end, the Passport is a solid entry in a competitive segment. 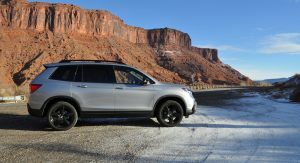 However, the decision to price the base model above the Pilot could be perplexing to some consumers. 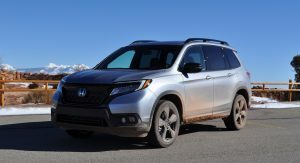 That’s just a difference in trim structures and the positioning becomes clearer when you look at the EX-L variants, which start at $36,410 for the Passport and $37,760 for the Pilot. 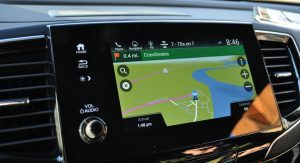 That’s not a huge difference and it will be interesting to see if consumers flock to the Passport or opt for the larger Pilot. But why does it cost more than the pilot? Frankly the pilot looks much better, inside out. It cost more than a base Pilot which nobody really buys. This will undoubtedly be adjusted with the next Pilot refresh. 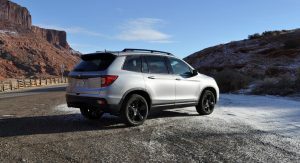 The Passport is going to take a big bite out of the segment if not become the best seller. Most will find it also looks better than the Pilot. Uhhhh, what? This is exactly the Pilot on the inside. It costs more because this is better optioned than a Pilot EX. Let see one without the silly black wheels. So ugly. 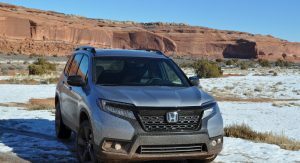 Looks like a really old gen CRV. That’s exactly what I thought! 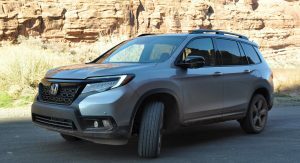 Reminds me of the new-for-2002 second-gen CRV. 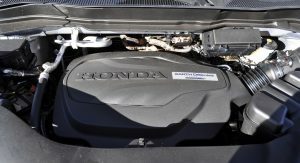 I’m sure this will sell well for Honda. . The price relative to the pilot is fairly irrelevant. Many variants of the 2 seater 911 cost more than the 4 seater panamera. You aren’t charged by the seat. If price/seat were a thing, everyone would be driving a minivan. No matter how bad the potholes on the way to your local mall, Passport will get you there! You could probably drive an Impala through those spots. 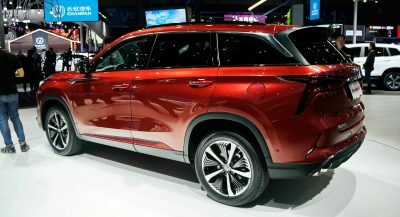 What I don’t get that is that People complain that Chevrolet Blazer is used on a Crossover, but when the Honda Passport which was previously a Badge Engineered Isuzu Rodeo a body on frame SUV, not so much backlash. 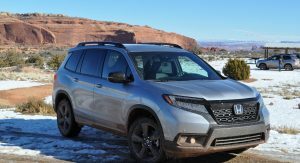 Probably because nobody cares about the Honda Passport in the first place. There’s no such thing as a classic Passport, now is there? They really didn’t bother to style this thing did they? 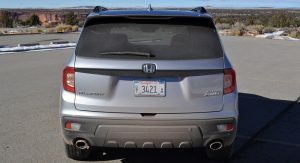 The rear is about as generic as they come. So little effort put into the actual design that it actually pisses me off. It’s lazy. 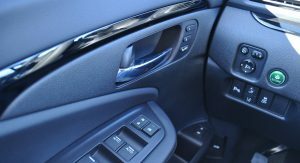 And we thought Subaru designers wore blindfolds. I am upset at it as well.. and would not want to befriend anyone that drives one. Why does this offend me so much?!?!? Visually at least .. I need to at least go to the Explorer’s articles to recoup from the mental trauma this has caused! A little too much off-road pretension. 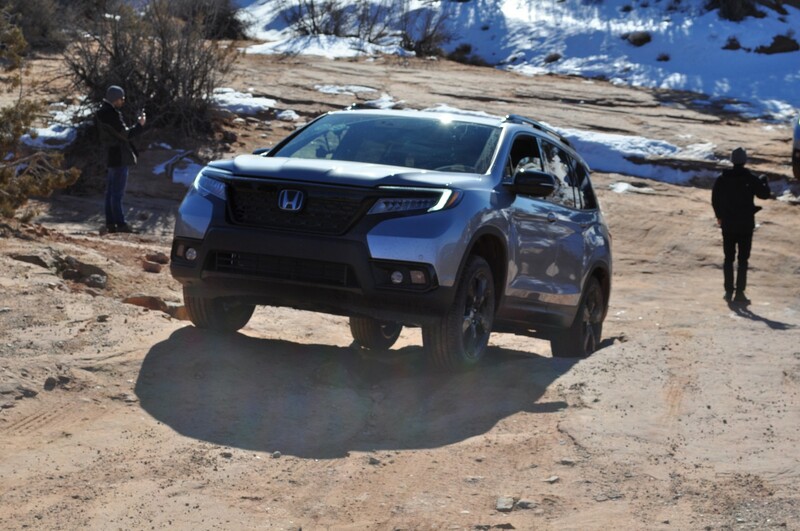 Yes, basic geometry makes it better than the Pilot in the rough stuff, but it’s far from a real off-roader. 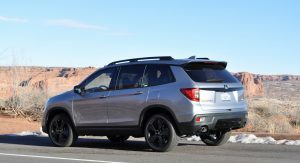 Still, image sells, so the styling will work in its favor — especially the trendy (but played) black wheels. At least it doesn’t have a floating roof. 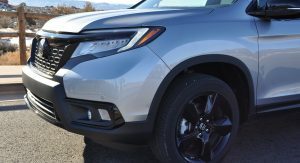 WOW, HONDA HAS OUTDONE EVERYONE WHEN IT COMES TO THE USE OF BLACK PLASTIC TRIM. 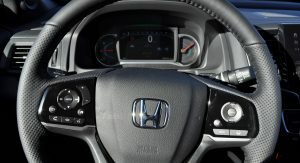 Being a Honda, I’m sure its well made and full of clever storage and ergonomics. 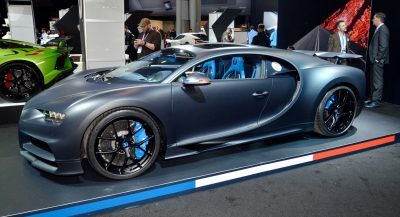 That said, did it have to resemble an ugly Subaru? 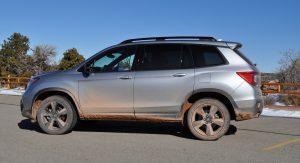 Sorry but even a Forester is way better looking than this! Yes! 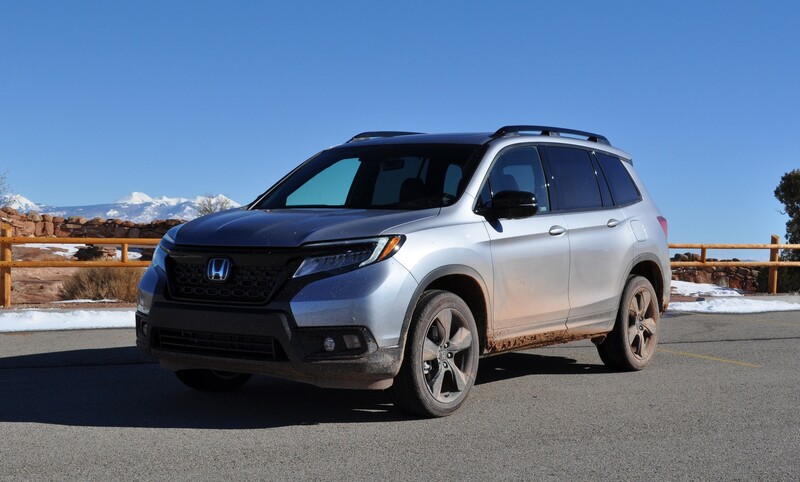 Somehow, Honda has managed to make an SUV uglier than a Forester. Not an easy task – Bravo! 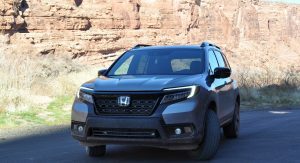 One car had to officially bring black wheels to their “jump the shark” moment…and it’s the Honda Passport! What a dorky vehicle this turned out to be. Lame. 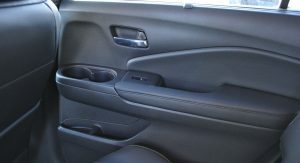 I seriously wish all the designers from Honda, Nissan and Subaru would just quit and go find another profession. Maybe Chevy too. They’re just really, really bad. It’s getting depressing. Anyone got any ideas on how to cheer me up?